I created this website for CG artists who want to practice texturing. 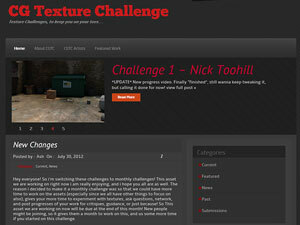 CG Texture Challenge is an online community for texturing artists to hone in their skills. The idea behind the site is to offer monthly projects for artists to work on in their free time.